“Sunny Nwazue lives in Nigeria, but she was born in New York City. Her features are West African, but she’s albino. She’s a terrific athlete, but can’t go out into the sun to play soccer. There seems to be no place where she fits in. And then she discovers something amazing—she is a “free agent” with latent magical power. And she has a lot of catching up to do. 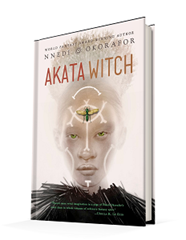 Published July 11, 2017, by Speak Akata Witch by Nnedi Okorafor is the first in her YA fantasy series where magic and culture collide. Originally published back in 2011, the novel is being republished to mark the announcement of a long-awaited sequel. This is such an incredible novel and I consider myself so lucky to have received a free copy from Penguin Books. This book takes a cultural standpoint to look at the world through the eyes of being different in a place where the differences isolate her. It follows Sunny who is an albino girl living in Nigeria with her family. Originally from America, Sunny stands out so much because of her skin condition. But her skin condition, her albinism, is exactly what makes her so special. It is truly unique, for me, to have read a book that follows a character with this condition. It’s remarkable because not only does it make Sunny stand out in the novel, it makes the novel stand out. There is magic in the novel, and not just real magic, but a magic that goes deeper, the magic of being unique and different. 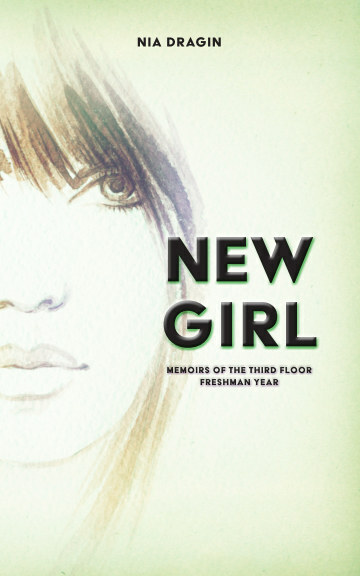 This novel capitalizes on differences, on the flaws that everyone has and how they should be respected. Flaws are not always flaws, they make people unique, they give people their courage and make them who they are. It’s so beautiful how Nnedi Okorafor uses that with Sunny to make the novel stand out. It also allows for character development as Sunny begins to find the strength in herself, in being herself, finding the inner strength within her to stand up and fight for what’s right. That right there makes the novel remarkable. But that’s not the only thing. The story, while cultural set in Nigeria, the plot, the magic, is culturally diverse. There’s so much that takes place in Nigeria, but it’s not exclusive to Nigerian culture. Okorafor makes this such an accessible novel by letting other cultures trickle in. What’s more is that they don’t overwhelm the Nigerian culture, they highlight it. The magic is dangerous, but within it there lies hope. And there is a claim that knowledge is power, that knowledge and learning is what makes a person strong, not wealth or physical power. Personally, I love that. It’s a teaching moment, the whole novel is a teaching moment with remarkable writing and powerfully storytelling. The characters are amazing, they all have their flaws, their gifts, their own unique personalities that all balance each other out so amazingly. The reader doesn’t really see how they all develop and grow, but in slivers through the eyes Sunny, there is a glimpse of change.